Enough is enough! We won't be fooled by the current fake democracy any longer! This electoral system is fundamentally undemocratic and a fraud. We have a choice and a right to withhold our vote to press for an electoral environment the protects and give value to our vote. This is a call to all democratic forces to engage in an active boycott. Collective active boycott is not the end of political activism, but the beginning of a political engagement to revolutionise and democratise the electoral college in Zimbabwe. The calling is not for people to do nothing. The only thing necessary for the triumph over evil is for the good men and women to do nothing, (Burke E). Collective and organised boycott is doing something. It is a call to organize, not a call for inaction. By continuing to vote in flawed and blemished elections, we are not only refusing to make an ideological breakaway from electoral exploitation, extortion and oppression. Doing nothing is promoting and validating a system that has constantly violated our human right to vote within the framework of freedom, tranquillity, openness, transparency, equality, fairness, and credibility. It is the boycott for Chigumba and Makarau syndrome to go. Never expect the preparators of electoral crimes to reform themselves to lose the authority that makes them strive. It is now the time and hour that provides the greatest opportunity for all democratic forces at all levels of society in Zimbabwe to organize themselves and take a collective action to overturn this undemocratic electoral system and demand real electoral reforms. Do it now before you commit your vote! The current electoral structure undermines and encroaches upon our human and constitutional rights to vote in an environment where there is sexual trading of our vote and our rights for benefit of unscrupulous politicians and top soldiers that have accorded themselves underserved civic political status. Our vote does not have any meaning because there are a lot of distortions in the current electoral leadership, planning, management, implementation and application. It renders our vote completely meaningless and a farce. Elections in Zimbabwe have proved time and time again that they are not an effective or viable way of choosing the peoples' representatives because of the continued deliberate resistance to electoral reforms first by the former despot Mugabe and now the military backed Mnangagwa. We have been dragged into elections for many years with the incumbent losing elections and refusing to vacate office and causing mayhem in the country. Inferior political leaders, administrators and non-performers have carter pulled themselves into high offices with a total disregard of our vote and making a mockery of our sanity. The election processes conducted in the present format and structure do not respect our vote. Our vote has never made any change in the past for our social and material betterment. It will never make any change to our wellbeing in the future if the electoral status quo remains the same. Why after voting do we continue to struggle to pay for necessities of life; continue being jobless, have poor health care, pay exorbitant educational fees; pay high surcharges for water and electric, housing, food and clothing. The penalty for refusing to volunteer to take a part and to commitment passionately in collective national boycott is that we end up being governed by the inferiors, looters, killers, abusers, liars and thieves. We are feed up with repeated lies, broken promises, abuses of power, more and more corruption; we are fed up of the illicit wealth held by fraudsters who remain unpunished, and election fraudsters that enjoy unlimited privileges and preferential treatment for bad behaviour while the lot of us suffer, languish and toil in poverty, pity and sorrow. What is the purpose of our vote if it does not count, not respected or giving meaning. The so called elite and money spinners have captured the electoral process to continue to remain in a political lie and corridors of power always pretending that there are there for us. Look at how much money and foreign currency has suddenly surfaced and carelessly splashed during this election and see where they take the business to; to China, Malaysia and Dubai. We have always been told that the country has no money making us stand in long bank queues for days on end just to withdraw $20 or be told that there is no money when one finally gets to the counter on day five in the queue. Metric tonnes of simple T-shirts, scarfs, caps and posters are imported overseas by political parties leaving several millions of dollars in those countries, and we get impressed. How on earth is that? ‘Zimbabwe is open for business' to foreign markets and closed to the local investors that vote the local leaders into power. The local political leaders that choose foreign investors over and above the local voting investors for investing in Zimbabwe. The concept of servant leadership does not exist in Zimbabwe. 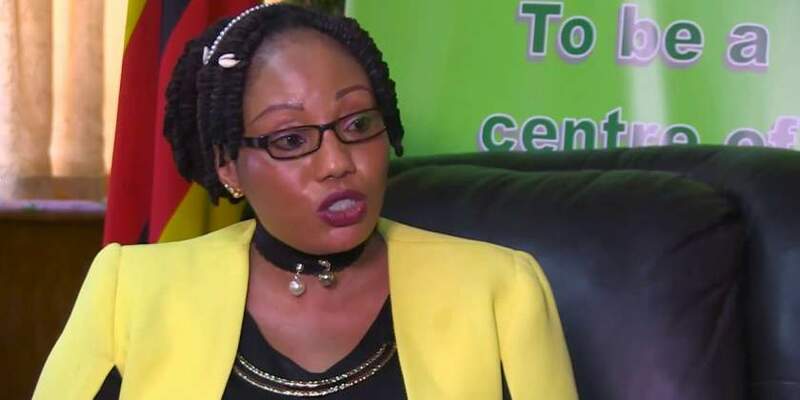 The local investors get accused of externalising money at the expense of corrupt politicians, not even one of the politician was fingered in the Mnangagwa list of externalizer. These bogus political leaders never subordinate themselves to the electorate. If a leader has never proved to be a good servant of the people, he will never be a good master at any point in his life. That is what our current vote is giving us, a leadership that exploits us and forgets all about us soon after the elections. They then talk more about them and less about us until the next elections when they want to use us again to extend their occupation and extortion of our resource. We own the vote. It is our vote. We must trade it at best value, best service and for good returns. It is our vital currency for bargaining in return for issues that resonate with our wellbeing, emotions, aspirations, hope, wants and needs. Let us put forward the question of what kind of democracy and society we want. We want a people's democracy and an egalitarian society free from all forms of electoral exploitation, manipulation and deception. We have learned from past experiences that change is unlikely to happen through the ballot box in Zimbabwe. We get cheated all the time. This time we are saying there is nothing greater than our numbers. There is power in our collective effort. If by our collective effort, we showed former tyrant President Mugabe the door. We can still tap on the power of our collective numbers with even our life sacrifices to push out Chigumba and her terror ZEC to press for electoral reforms instead of running with the wolves when we can fly higher with the eagles. We know who we want to vote for and what we want to vote for. We want the one that will end potholes on roads and bring a better transport network; the end of a militarised and bad governance; the end of public bullying by politicians and public officials; and the end of electoral rigging and electoral theft. We want the one that will end poverty, unemployment; and state sponsored violations of human rights. Our vote should end corruption, bribes, embezzlement, extortions and poor pay. Our vote should end tribalism, nepotism, patronage, miscarriage of justice and lawlessness. Our vote should bring about good educational, housing and primary health outcomes. We want money in the banks and our dollar should buy us more food and more goods. Fellow democrats and you, the power holders of your vote do not vote for power grabbers, political opportunists, political prostitutes, political malcontents, end of life politicians or even sick politicians on medication. They are a liability to our prosperity and growth, and a waste of space. Vote only for statesmen and states women if you can find them. Let us see our active collective boycott of elections on 30 July as bringing change to electoral reforms. We do not need permission from one to run a boycott. It is easy for opponents of a boycott to deride the boycott campaign as simply an act of cowardice and telling people to ignore the call to stay away. One thing for certain is that the boycott will give the affected, the exploited and the forgotten an opportunity to promote an ideological break away from an undemocratic electoral process in this country. The boycott is only the beginning of a political effort and political activism that is not an isolated act of the hunger for real change. The boycott is a means by which the forces of democracy can organize for real and fundamental changes of the electoral law in Zimbabwe, to fight for the end of a partisan and exploitative electoral system.